Mann V Ford follows community leaders Wayne Mann and Vivian Milligan and their lawyers over the course of five years as their fight for justice takes them from community centers to courtroom of American justice to the halls of Congress. While Ford admits dumping in Upper Ringwood, their lawyers insist it was legal at the time. The EPA placed Ringwood on the Federal Superfund List in the 1980s. Under EPA supervision, the site was officially “cleaned-up” by Ford and taken off the Federal Superfund List in the 1990s, but most of the toxic waste remained. In 2006, the residents of Upper Ringwood made history when their community became the first site in the country ever returned to the Superfund List. Today, the EPA admits it “missed” nearly 80% of the toxins in the original cleanup. As the years go by, and legal costs mount, the Ramapough face tough dilemmas and must make difficult decisions as they pursue their case. What ultimately transpires is both an emotional end to a real-life, high-stakes drama, and a revealing reflection of the realities of the criminal justice system. The Ramapough’s struggle is not an isolated one. Today, 74 million people in the U.S. live within four miles of a Superfund site. 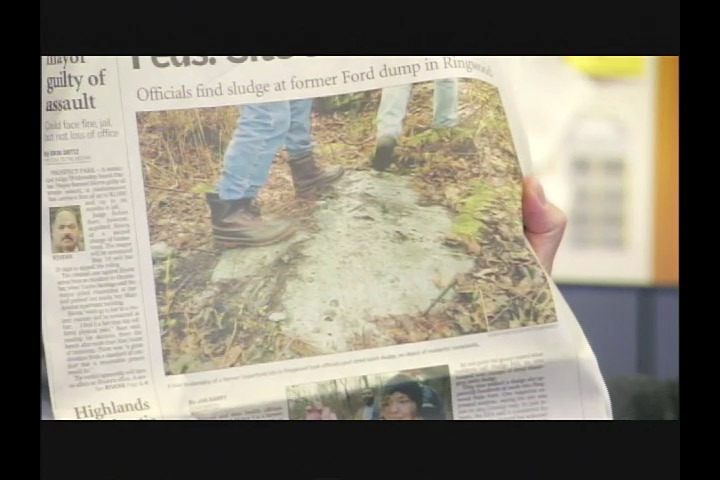 I worked with Micah Fink and Maro Chermayoff over 5 years on this thoroughly investigative documentary, filming with the Upper Ringwood community, their legal counsel, the Ford Motor cleanup crew as well as the EPA investigators.